World Architecture Day reminds us to take care of the place where we all live. 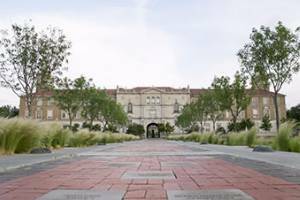 The iconic Spanish Renaissance-style architecture of Texas Tech University is well-known, not only in Lubbock but around the world. The Texas Tech Administration Building's façade is based on the Colegio de San Ildefonso at the Universidad de Álcala in Madrid. The university's Carillon Tower is modeled after the Torre del Alminar in Córdoba. 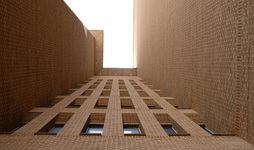 But Texas Tech's architectural ties to the rest of the world are not limited to the buildings on its campus – or to the one day each year set aside as World Architecture Day, a day intended to remind the world of its collective responsibility for the future of the human habitat. “Architecture is not only about the physical manifestation of buildings; it goes beyond the built environment and the already-established traditions,” said David Isern, director of communications and outreach for the Texas Tech College of Architecture. “Architecture is able to explore and address different issues: social, political, practice, research, community, exhibitions and much more. 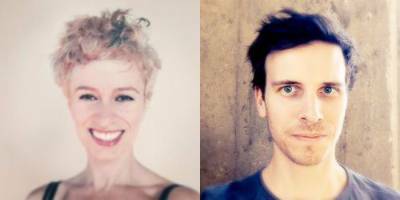 In celebration of World Architecture Day, we want you to meet a few of the Texas Tech architecture faculty members making a difference around the world. As a Fulbright Scholar to Zimbabwe and Ethiopia and a Fulbright Specialist to India, Aranha has traveled the world to study and teach vernacular architecture – the buildings and settlements based upon specific local needs, availability of materials and building traditions. Studies in vernacular architecture include documentation, analysis and theoretical approaches toward understanding how architectural form and settlement layout of specific societies is also shaped by abstract ideas related to belief systems, social order, cultural values and lifestyle. Aranha is currently collaborating with a group of Texas Tech engineering and other faculty on a British Council-administered graduate education program in architectural engineering in Ethiopia. For several summers he also has led Study Abroad trips in Spain at the Texas Tech University Center in Sevilla. A Fulbright fellow, Stiphany is a new faculty member in the College of Architecture, following doctoral and postdoctoral research in Brazil focused upon collective housing typologies, urbanization and sociospatial analysis, both studies funded by the National Science Foundation. Stiphany applies her extensive research in Latin America to the interdisciplinary practice Sao, most recently awarded for the design of social housing in collaboration with the Sao Paulo firm Siaa. Stiphany recently presented related work at the United Nations Habitat III conference in Quito, Ecuador, and will introduce a speculative mass housing project for post-industrial landscapes at the upcoming American Collegiate Schools of Planning annual conference. 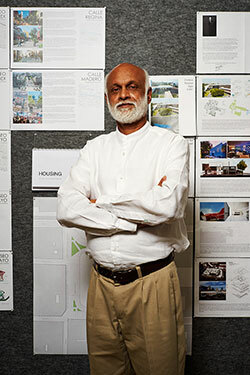 Kripa and Mueller, both teaching at Texas Tech University at El Paso, operate the architecture firm AGENCY – a collaborative interdisciplinary practice engaging contemporary culture through architecture, urbanism and advocacy – where they deal with border issues between El Paso and Juarez, specifically, as well as the entire U.S.-Mexico border. Kripa's ongoing design research seeks to amplify the reach of local practices in informal environments, identifying opportunities for intervention and proposing agile minimal inventions she calls “hackable infrastructures.” Kripa tests her speculations with direct action, installing prototypes in urban environments, testing their effectiveness and gauging public response to refine relationships between design technologies, resources and communities. 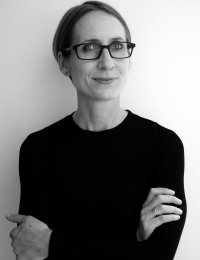 Her current teaching interests include emerging developments in cultural and aesthetic theory, urban action and architectural practice as they relate to resource mitigation in the contemporary city. Mueller directs the Dust Institute studio, an architectural interrogation of transnational dust migration and its growing impact on life and the built environment. The studio speculates on the impact of migrational airborne particulates on the bodies, devices and constructions that share the borderland. 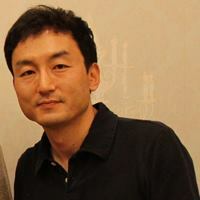 Park has led a Study Abroad to Seoul, South Korea, for the past five years. The goal of SeoulSTUDIO is to investigate how architecture influences the city by Seoul-specific identities. By traveling to and working within Seoul, students are fully engaged and establish a sensible understanding of diverse urban patterns while simultaneously responding architecturally within particular cultural, social, political and religious pressures. This summer, students had the opportunity to participate in the “City as Making” International Studios in the 2017 Seoul Biennale of Architecture and Urbanism. Forming alliances with the Production City exhibition, faculty and students from Texas Tech, Seoul National University, The Chinese University of Hong Kong, the University of Pennsylvania and Princeton University collaborated to re-envision the creative capacity within their immediate area, focusing on small businesses that produce garments and electronics, in contrast to the large mass-production facilities on the city's outskirts.